It's finally October...the start of the best time of the year! I've been steadily getting my home all ready for Halloween! 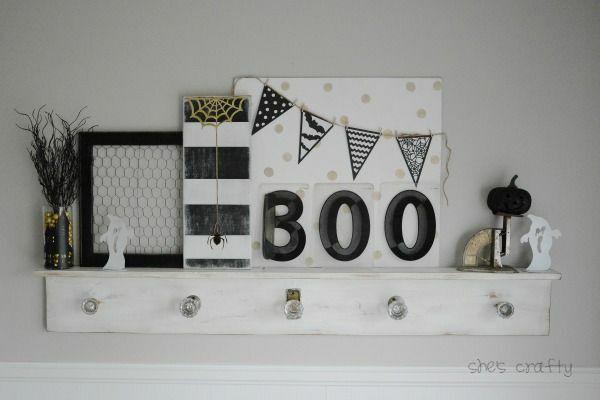 Today I'm sharing my Halloween mantel! Our "mantel" is in our dining room. I went with a black, white and gold theme. 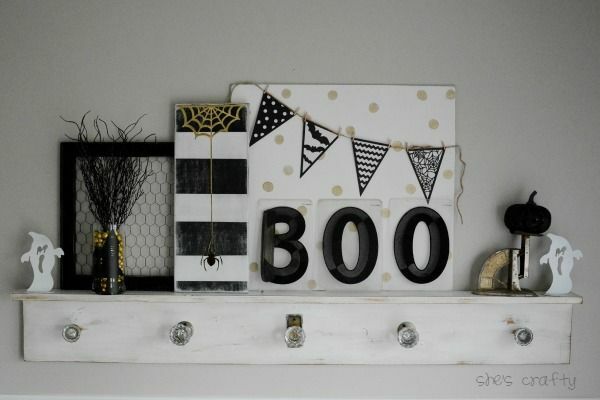 My favorite part are these BOO letters. They are sign letters I picked them up at a vintage market here in Nashville. I love that the B used to be a 3 that someone painted a line on. How cute and charming is that? I made this spider art. I'll post the super easy tutorial soon. 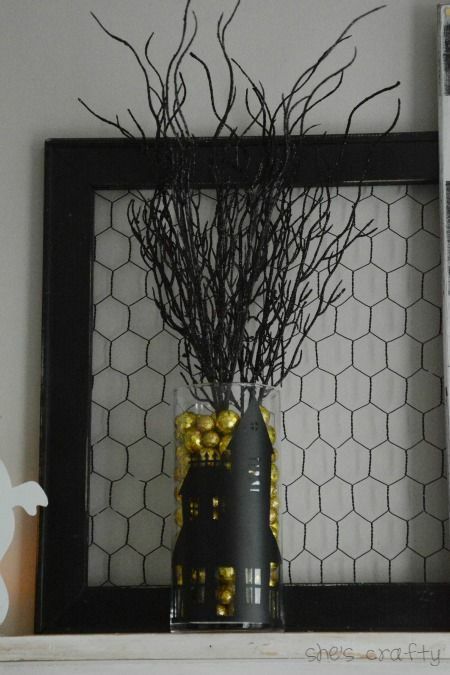 I made the haunted house vase last year. 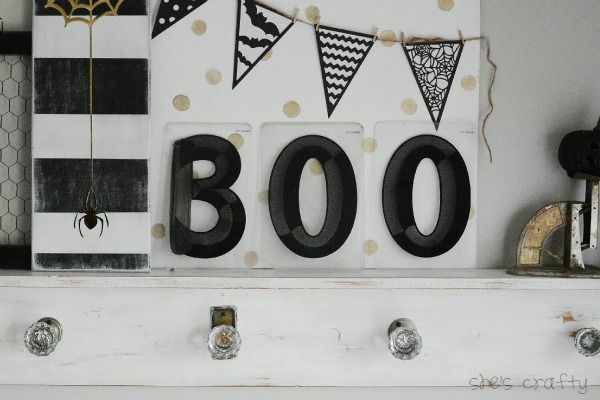 I found the cute little paper banner at Home Goods. The rest of the items are from my stash. That's the first of my Halloween decor this year! 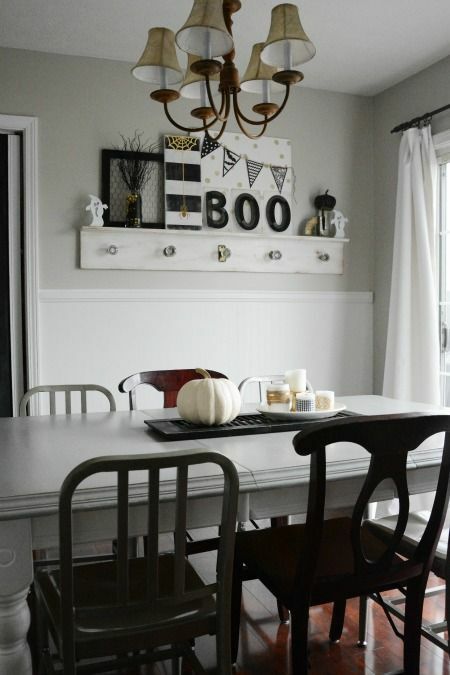 Such a nicely decorated area. I like the white and black instead of all orange. My favorite is the banner. Too cute! Ali, thank you for stopping by my blog and for your nice comment! Have a great day! 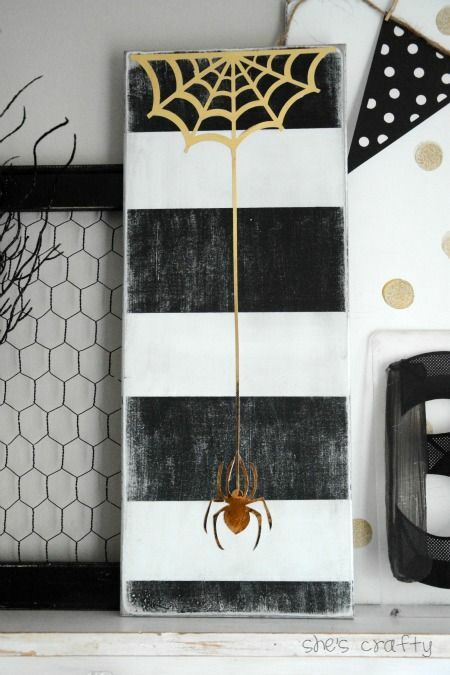 Really cute whimsical and most of all scary! !